Late dinner options are pretty limited in the suburbs, we don’t have the luxury of having Stalactites around the corner, so it’s pretty much either pizza or, well, good ol’ Chinese food, hence how we ended up in Fancy Oriental one night. Just a side note, their menu is all in Chinese, but I’ll try my best to translate the dishes we ordered! And because no one feels like healthy food at 9’o clock at night, we started things off with some sweet and sticky ribs. 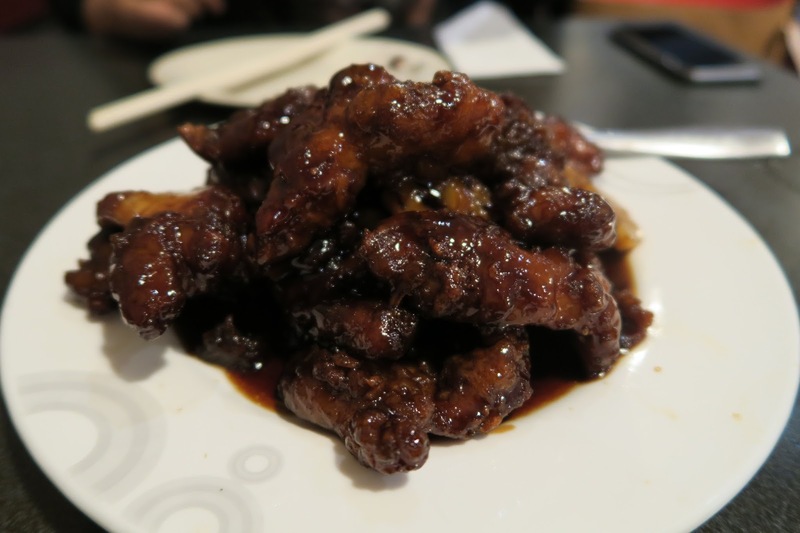 The ribs were fried in a thick-ish batter, before being tossed in some sweet and sour sauce. It reminded me of sweet and sour pork, in a good way. The ribs were fatty and full of flavour, and the portion was huge! My mum insisted on some abalones, ’cause, well, Asians. 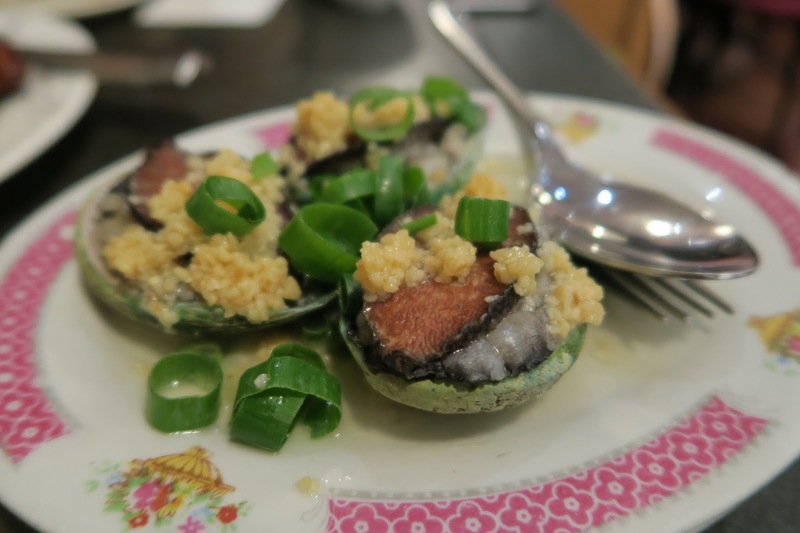 The abalones were plumb and juicy, and the minced garlic added a lot of flavour. We saw another table having this dish, and the colours looked so appetising so we ordered it too. 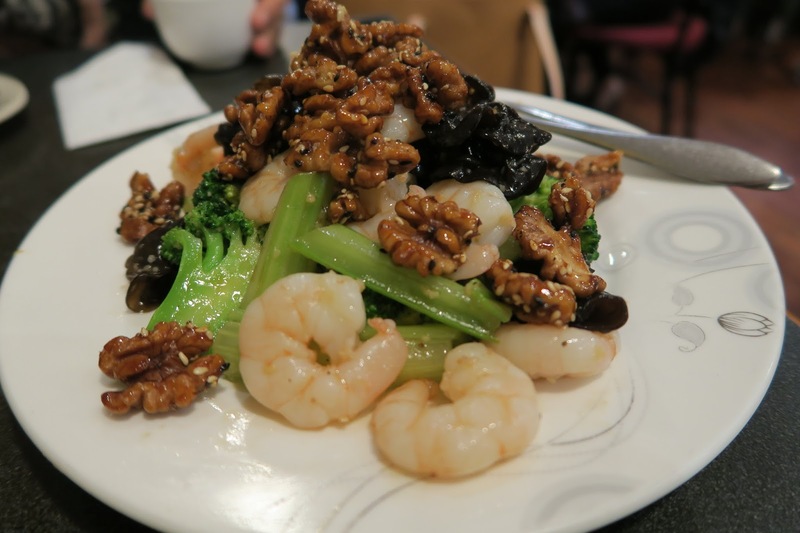 The flavours were a lot more subtle in this dish, the prawns were succulent, and the candied walnuts added dimensions in both flavour and texture. Remember when I said we don’t feel like eating anything healthy? Well, this is kind of the epitome of that. 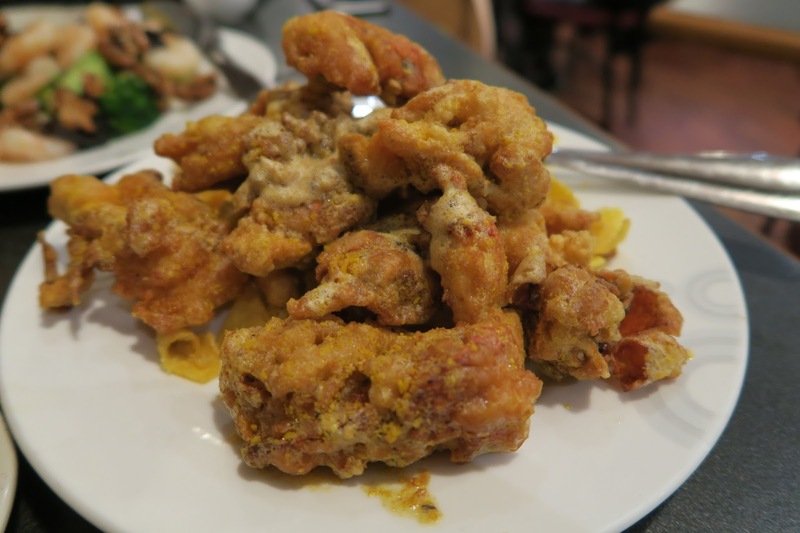 Compared to other batter, the salted egg yolk takes things to the next level, if you’ve never had salted egg before, you’re missing out. It’s salty and creamy and all so delicious. 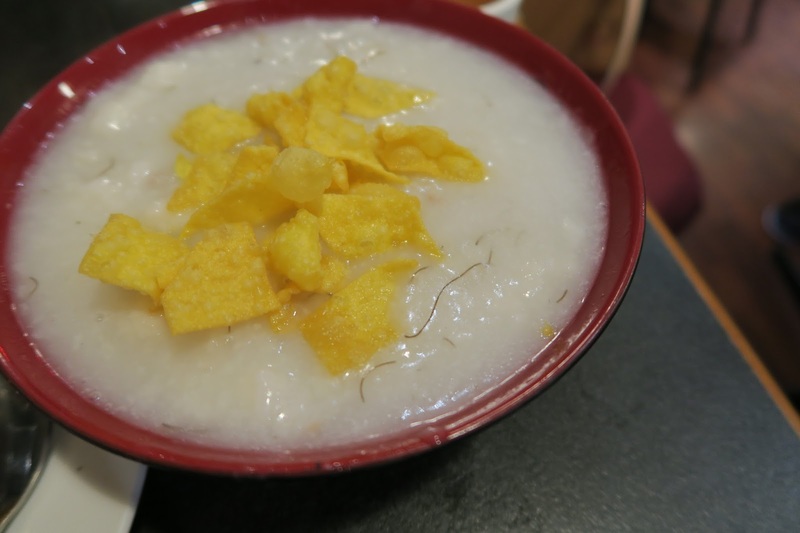 Because the dishes we ordered were quite heavy, we also got a congee to balance it out. There’s obviously a few different types of seafood in this congee, but it didn’t taste too fishy overall. The consistency was a little watery for me, but the rice was cooked down pretty well. 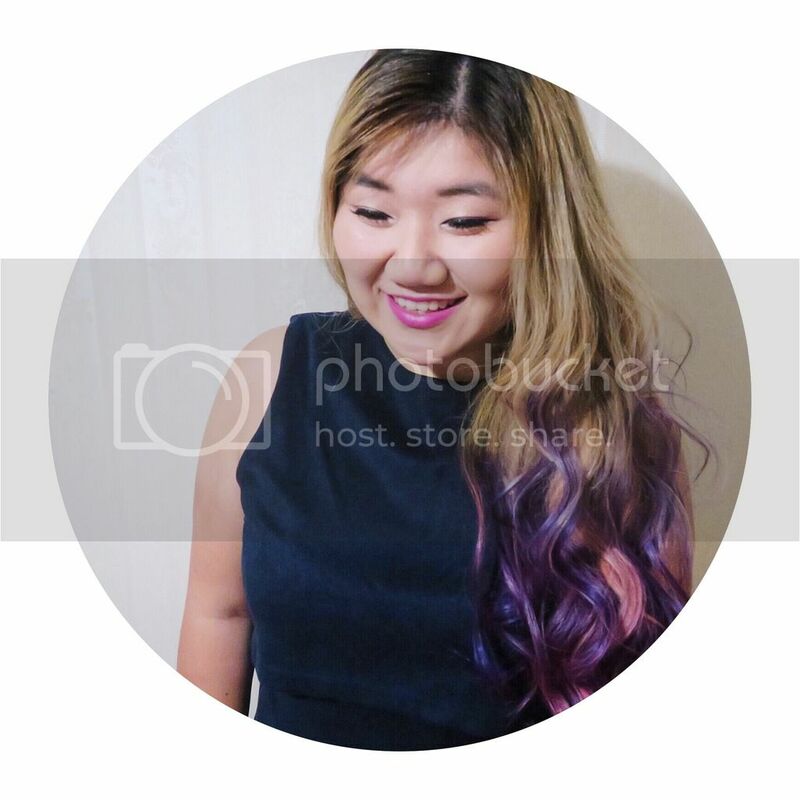 The thing that stood out the most to me about Fancy Oriental was the service, it really isn’t all that often that you can get some semi-decent service in a Chinese restaurant in Box Hill, but our waitress was extremely helpful, and always had a smile on her face! Such a rare sight haha. Fancy Oriental is located on Station Street, 5 minutes walk from Box Hill station.